They're so colorful, and can be used for so many things! This large, gorgeous mandala also comes in small and medium versions! The texture of this mandala is amazing, and the color combos are endless! These tiny mandalas would make great decor in a nursery or craft room! This floral-themed mandala would make a lovely hot pad or dishcloth! 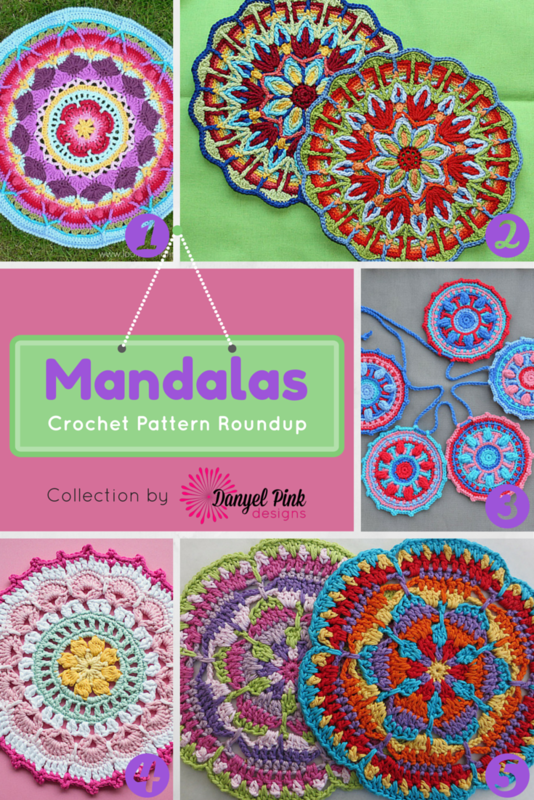 This multi-colored mandala is a perfect stash-buster project!